Director’s remuneration is the salary or wage received by a company director, and is recorded in the company’s articles of incorporation. There are different way of calculating the director’s remuneration, and these are determined by the company’s legislative structure. In some companies, the director will be responsible for determining their remuneration themselves. In other companies, shareholders will be asked to propose and vote on the remuneration that the director will receive. When we examine the use of bonus systems in Japan, we can see that there is a positive correlation between employee salaries and director’s bonuses. However, the percentage of bonus payments on director’s remuneration is lower than in European countries. Furthermore, there is currently a tendency amongst Japanese companies for bonus reduction. Is Director’s Remuneration Tax Deductible or Not? When a director’s remuneration is paid on a monthly basis, it is tax deductible. In cases where the director’s remuneration varies from month to month, and may be assumed to be a bonus, it is considered to be non-deductible. 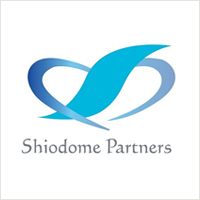 We provide the following services: Incorporation & Investor/Business Manager Visa Services, Accounting and HR services as well as other services that help our clients to expand into Japanese market. Feel free to contact us for further information. You can request a consultation today by contacting us at inquiry@shiodome.co.jp, submitting a Contact Request Form, or by calling our Tokyo office at 03-6228-5505 (+81).